Mercedes Benz has introduced digital HD headlights that constantly monitor the road ahead and adjust instantaneously to illuminate pedestrians, bicyclists, road markings and street signs. Each headlight has over 1,000,000 LED facets that are controlled individually by data from forward facing cameras that is processed by the computer system. When a person or object in the road ahead is detected, the headlights illuminate it with a beam of light. 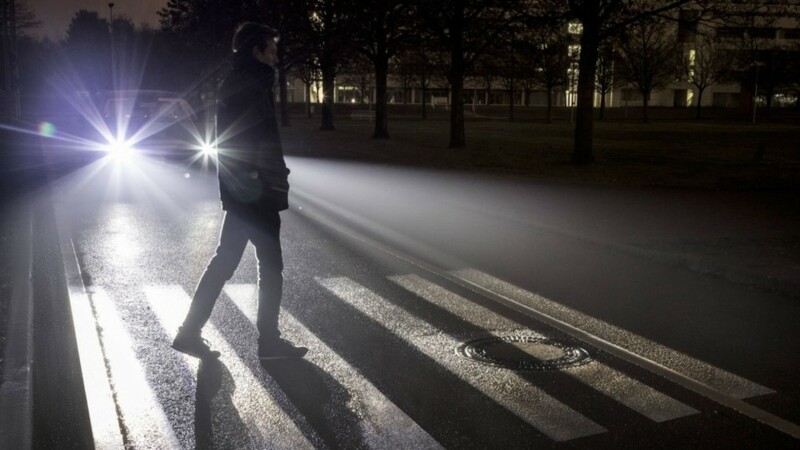 The light is also directed and focused to eliminate glare that would dazzle other road users or pedestrians. It can also work like other adaptable lighting and so light the roadway around curves. The lights can act like a head-up display (HUD), but instead of projecting information onto the windscreen, it shows as a digital image of a zebra crossing or a street sign directly onto the pavement using light. The technology is expected to make it into production by 2020. Hello Ferradj, I am very pleased you like my books and are doing so well with your training. I am sorry however as I do not know how you would be able to visit the UK and take training courses. Maybe contacting the British Embassy to enquire about student visas would be a good place to start?